Start your review of Ryan Bayda. Send a message to Ryan Bayda. Thank You! 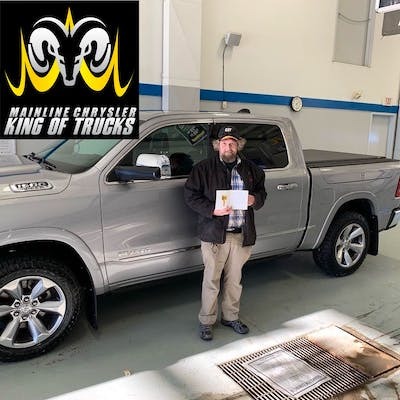 Your message has been sent to Ryan Bayda at Mainline Chrysler Dodge Jeep Ram Ltd.
"Friendly people, easy to deal with." Natasha was knowledgeable, friendly and easy to deal with. Danielle helped us with the paperwork, in an efficient friendly manner. Would definitely buy from Natasha and Mainline Chrysler again.